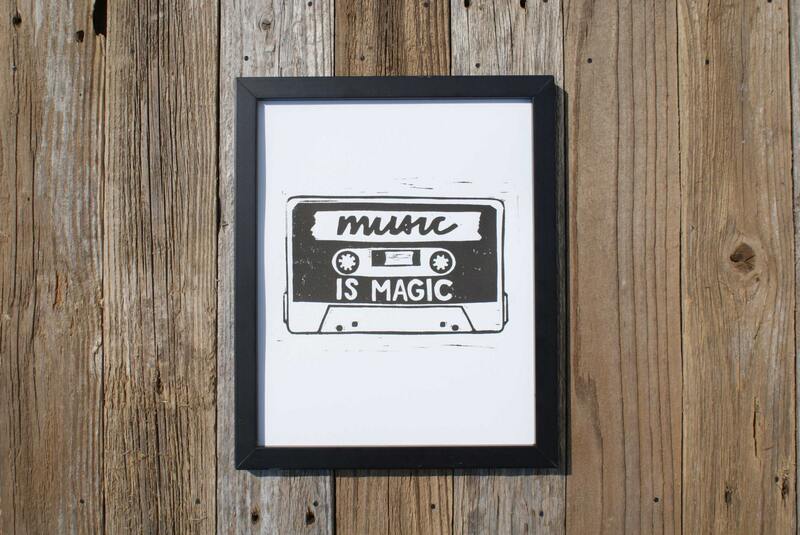 Cassette tape inspirational print / Music is Magic Wall Art now on Etsy. This hand printed linocut celebrates one of my biggest influences... music. I once had a supervisor ask me why I 'needed' to have music on my computer at work to which I replied, "I NEED music so that I don't punch people in the face." True story.